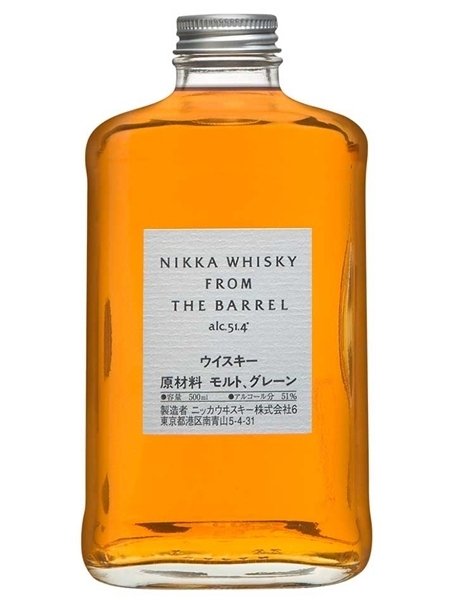 Nikka From The Barrel (~€50) is an award winning Japanese blend, aged in bourbon barrels. It contains single malts from Yoichi and Miyagikyo and grain whisky from Miyagikyo. It is bottled at 51.4% ABV.